Just back from two days at Essen. Fabulous time as always but seemed to spend more time talking than playing games. Rather restrained on the buying front – only 19 additions to the collection which are shown in glorious technicolour below. The third game being released by Martin Wallace, this time through Warfrog rather than Treefrog, is Steam Barons which is the first expansion for Mayfair’s Steam. Two maps are included in the game, one covering eastern USA, along with parts of Canada, and the other covering northern England. The maps are suitable for five and six players if you use the base or standard rules from Steam. 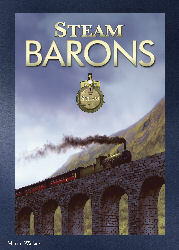 The Steam Barons rules also introduce a stock-market system to the game. Now you can buy and sell shares in the railway companies. However, the biggest advantage of these rules is that the maps become playable by between two and six players. More information, including a link to the rules and pictures of the new maps, can be found on the Steam Barons page of the Warfrog website. The BoardGameGeek Game (TBGGG) is being published by R&D Games to celebrate the tenth anniversary of the BoardGameGeek website, the gaming communityâ€™s most indispensible database! TBGGG is a fast paced, tactical, fun game for 3 to 6 players (with â€˜geeky English start playerâ€™ option), which takes around 60 to 75 minutes to play. 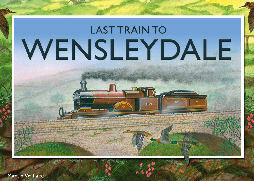 The second Martin Wallace game being released at Essen is Last Train to Wensleydale, published in his Treefrog line. The game is set in the Yorkshire Dales and the aim is to move stone, cheese, and various passengers, from the hills of the Dales to the major trunk routes run by the North Eastern Railway and the Midland Steam. The game is for three to four players and plays in 60 to 90 minutes. The level of complexity is similar to Tinners’ Trail. 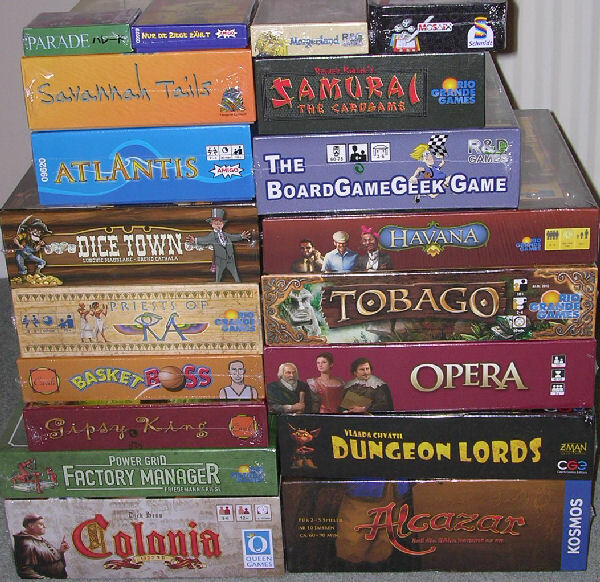 More details including ordering information and a link to the rules can be found on the game’s page on the Warfrog website. In ancient and long forgotten times heroes were lured to Eastern lands by tales of bountiful treasure and powerful magic. The treasure was found, not lying about, but in dangerous caves guarded by fierce dragons. Those strong enough to gather the dragonâ€™s treasures had to compete among themselves for privileges that would smooth the way to the Caliphâ€™s palace. On reaching the palace, the heroes found their way blocked by powerful guards. Here they could pass the guards only with the right influence or, failing that, generous bribes. Within the palace walls, the heroes bartered their hard won treasures for magical artifacts in a contest to see who could acquire the most artifacts and gain the praise of the Caliph. The Aladdinâ€™s Dragons card game (Morgenland Kartenspiel) is based on the award winning board game of the same name published by Rio Grande and Hans im GlÃ¼ck. The game consists of a double pack of cards and is played over a number of rounds, usually four or five in total. Each round has three phases. In phase one, new artifact and treasure cards are laid out. In phase two, players play their hero cards into the various locations. In phase three the locations are resolved. 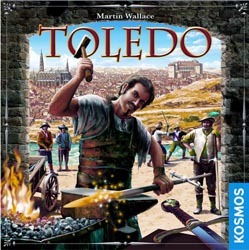 The game will cost 8 Euros and will be available from the R&D Games stand in Hall 4 booth 4-112. The Ragnar Brothers will be back at Essen this year with a streamlined version of their classic, History of the World. As the new version was designed to play in a shorter timeframe, the choice of title for this version is hardly imaginative but 100% accurate. So welcome to A Brief History of the World. The game has been co-produced with Spiral Galaxy Games and will be available at the show for 35 Euros. More information, including details of how to pre-order should you wish to do so, are on the Ragnar Brothers site. Three weeks yesterday, the annual Essen Games Fair begins and, as usual, I’ll be there for two of those days. Also, as in previous years, I’ll be highlighting some of the games to look out for, with a focus on those released by UK companies / designers. I’ve already mentioned one or two and hope to post something about all those that I know about. First of all, Warfrog (or Treefrog) have a few new games to mention. Today, it’s the turn of God’s Playground. God’s Playground is the next ofÂ Martin Wallace’sÂ three player only games being released in the Treefrog line. 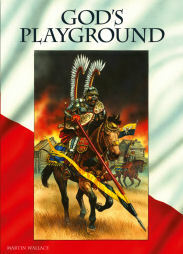 The game covers the period of Polish history from the 1400s to the mid 1700s, i.e. from the war against the Teutonic Knights to the period leading up to the first of the three partitions. Further information, including a link to the rules can be found on the God’s Playground page on the Warfrog website. 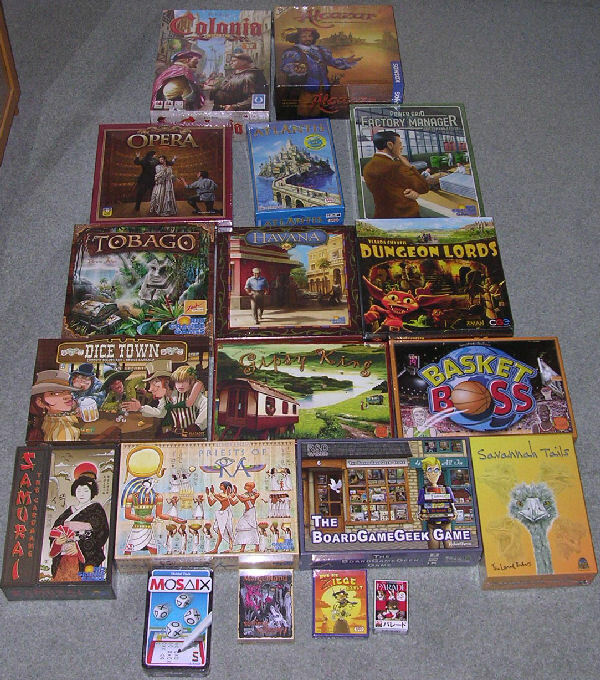 11Â games no longer unplayed (Adam & Eva, Animalia, Explosiv, Fish Eat Fish, Flix Mix, Endeavor, Ad Astra, Pick & Pack, Toledo, Floriado and Monastery).